"I was struggling for many years trying to play the classical guitar. As a corporate sales manager in a Wall Street financial firm, I am always on the go and do not have a lot time to practice. Virtually all the classical guitar teachers I have studied with in the past, not only had little patience for my inability to practice daily for hours, but would only teach me using regular music notation, which I always found extremely difficult and wanted at one point to give up trying to play the classical guitar entirely. 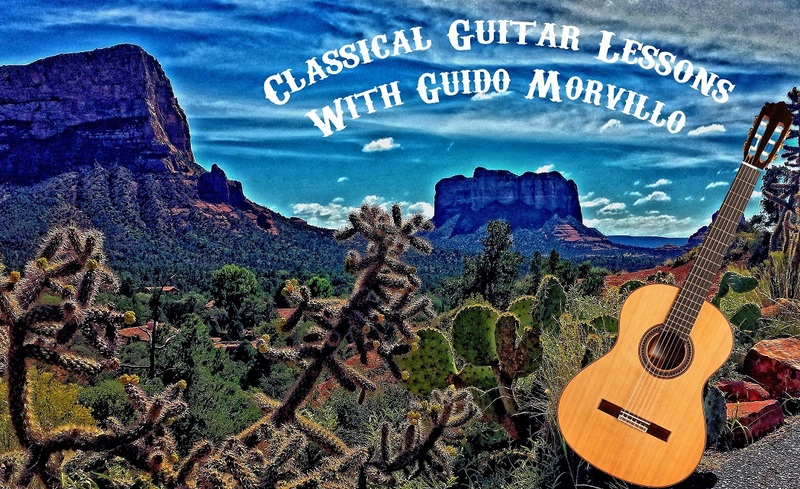 I knew most tab was inferior and nothing like the regular music, so prior to my lessons with Mr. Morvillo I did not consider tab as an option for learning the classical guitar. However, thanks to Mr. Morvillo’s teaching method of tailoring lessons to the needs the student, plus accurate and well annotated transcribed tabs from regular music notation, which he personally transcribes to tab. I am now able to play pieces with great technique and sound that I could only have dreamed of doing prior to starting my studies with this great teacher"
"Highly Recommended! 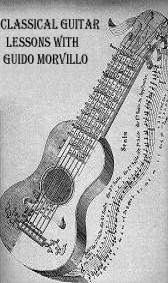 I have been playing classical guitar for over 11 years, had several teachers, Mr. Morvillo is the first teacher to encourage and help me develop my own style of playing while greatly improving my classical guitar technique"
"I am studying both Flamenco and classical guitar with Guido Morvillo. He is an extremely thorough and patient teacher with fantastic teaching skills, gifted at imparting his knowledge of the guitar to the student, I have never taken a lesson with him that I did not learn something new and I have been with Guido going on 5 years now"
"I have been looking high and low for someone to help me improve my Native American Flute playing. While attending one of Mr. Morvillo's Classical Guitar concerts. I was very shocked to hear he is also an accomplished player of the Native American Flute. In just a few Native American Flute lessons he taught me how to get true NA Flute sounds and to play extended improvisations"